He knows when to run and when to rest. He's ready to go at a mere mention. He leads me along our running route. and never needs to stop and walk. He loves to run and it really shows. Is scooping his poop really stinks! Partners with four legs are better than two. This post contains affiliate links. This means if you click on a link and make a purchase, I get a small percentage of the sale. 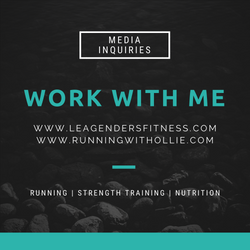 I am working with Shine Athletica and all opinions are my own. Does your running partner have four legs? 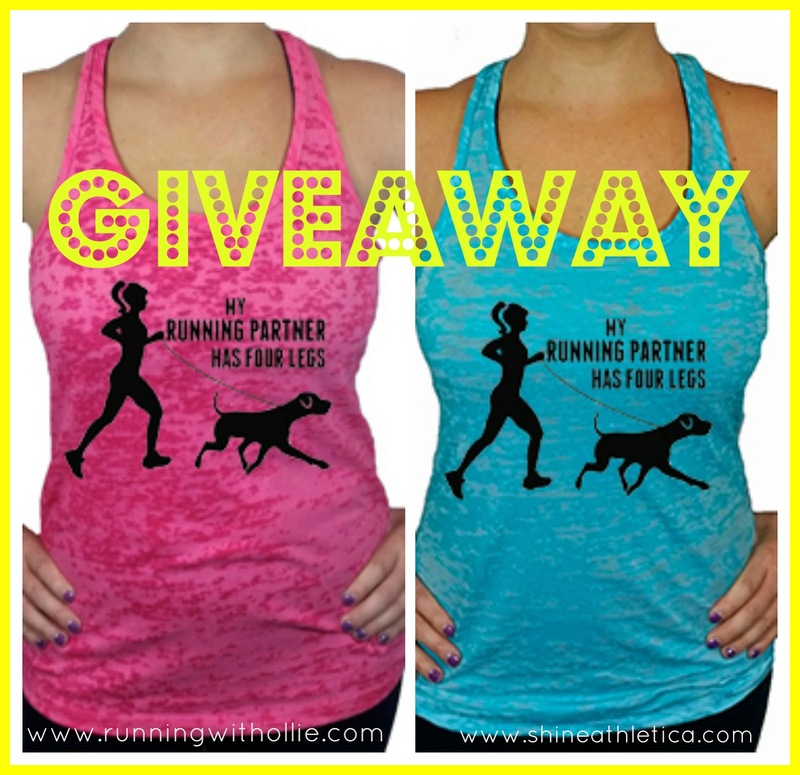 Then you're going to love this giveaway of a "Running Partner Has Four Legs" burnout tank top. 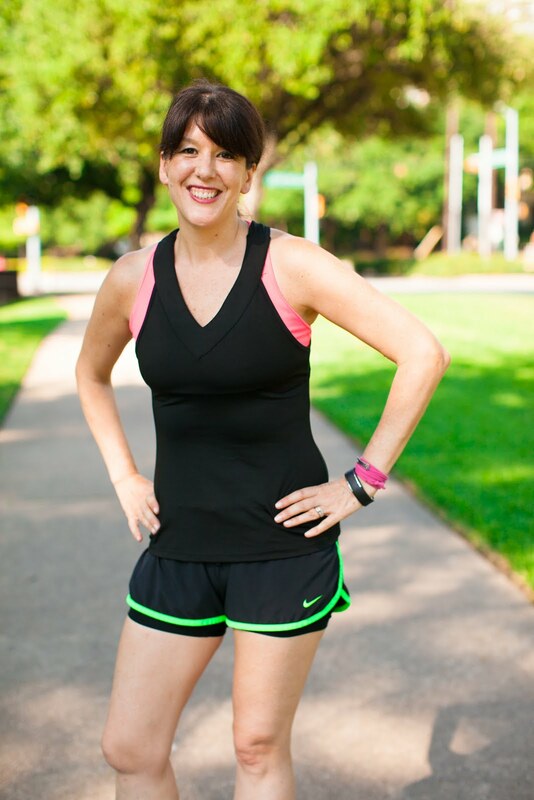 As I mentioned before, I have partnered with Shine Athletica and they are making my blog tanks now! I wear my tank all the time (if only I could wear it to the office) and it is light weight and comfortable. I am a big supporter of Shine and everything they stand for as a small woman-owned business and as a fitness company. 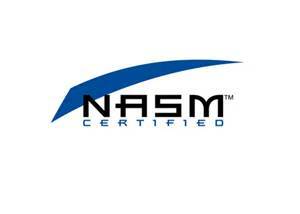 I am proud to support them and work with them. If you love to run with your dog you can enter to win by filling out the Rafflecopter form below. It is easy to enter and there are plenty of ways to earn extra entries with social media sharing. There will be three winners so I would love if you would enter and share with your friends who run with their dogs! You can always purchase a tank (here if you live in the US) and (here if you live outside of the US). Prizes will ship directly from Shine Athletica. I love this shirt and would love to win it so I can wear it when I run with my German Shepherd - Saba. These tanks are super cute. I'm working on training my dog to run but she is more of a sniffer and zigzager! But I loooove those shirts! I think your poetry is getting better! This one is great! Love love this shirt!! the poen is awesome too!!! OH YES! And, my Fenway (greyhound/terrier mix) could be Ollie's long lost twin! They have the same face! 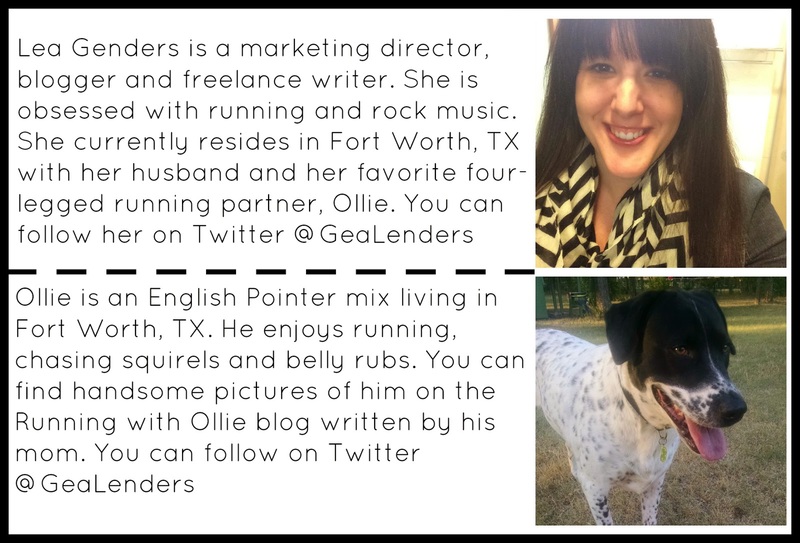 My best friend fosters German Shorthairs and this would make a wonderful birthday gift for her! One of her dogs looks a lot like the one pictured above! I love the tanks - they look like like my girl, Pepper! She's great for short/mid distances. Such a cute poem! LOVE! PS - I couldn't wait. Just ordered one. :) If I win, I'll just have 2 colors!!!!! I LOVE!!!! I love this! I run with my best friend - a Great Dane/Lab. He's giant and loves to run! So cute! My boxer loves to run and hike with us. Love it! My running partner, Fred, can't wait for Spring! Love your poem!! I love running with my rescue dog, Skipper! Super cute! My running partner, Minnie, thanks you for the giveaway!